Want to be notified of new releases in openmv/openmv? iabdalkader Add SSD1306 OLED driver. The OpenMV project aims at making machine vision more accessible to beginners by developing a user-friendly, open-source, low-cost machine vision platform. 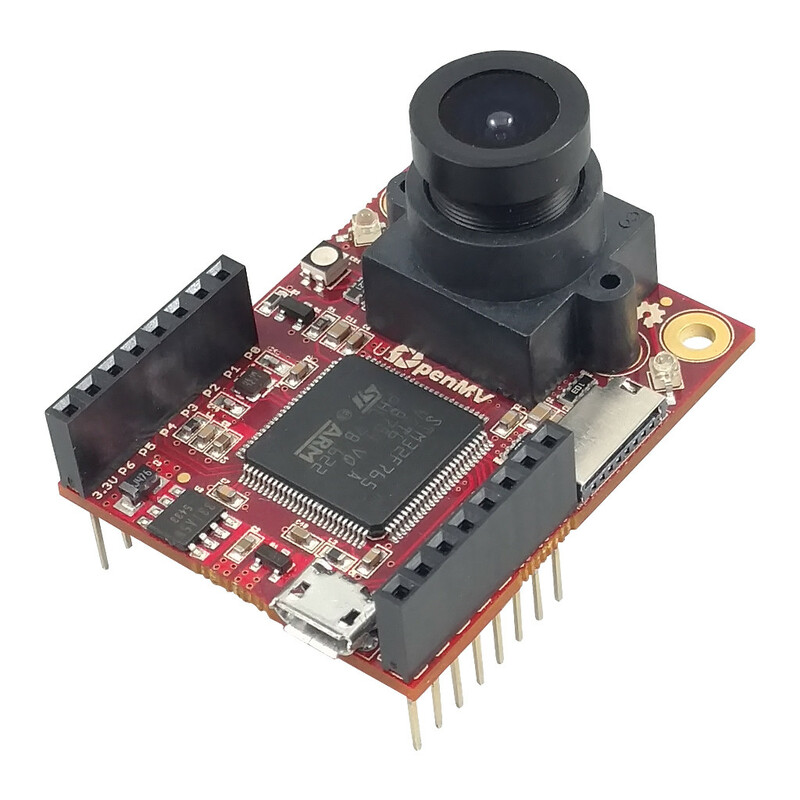 The first generation of OpenMV cameras is based on STM32F ARM Cortex-M Digital Signal Controllers (DSCs) and Omnivision sensors. The board has built-in RGB and IR LEDs, USB FS for programming and video streaming, uSD socket and I/O headers breaking out PWM, UARTs, SPI and I2C. Additionally, OpenMV supports extension modules (shields) using the I/O headers such as WiFi, BLE, Thermal (FIR) and LCD shields.